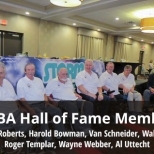 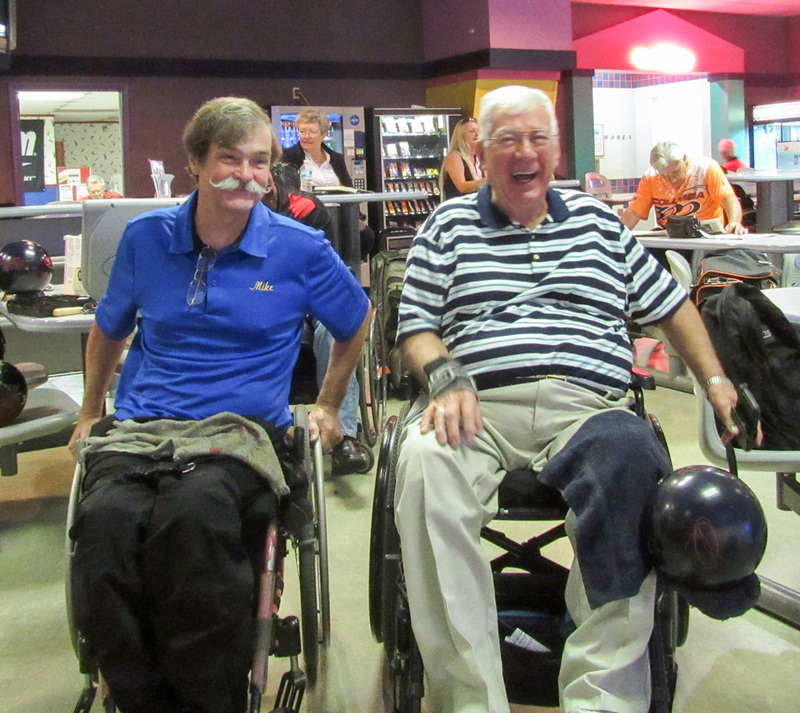 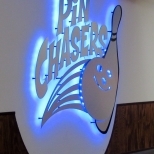 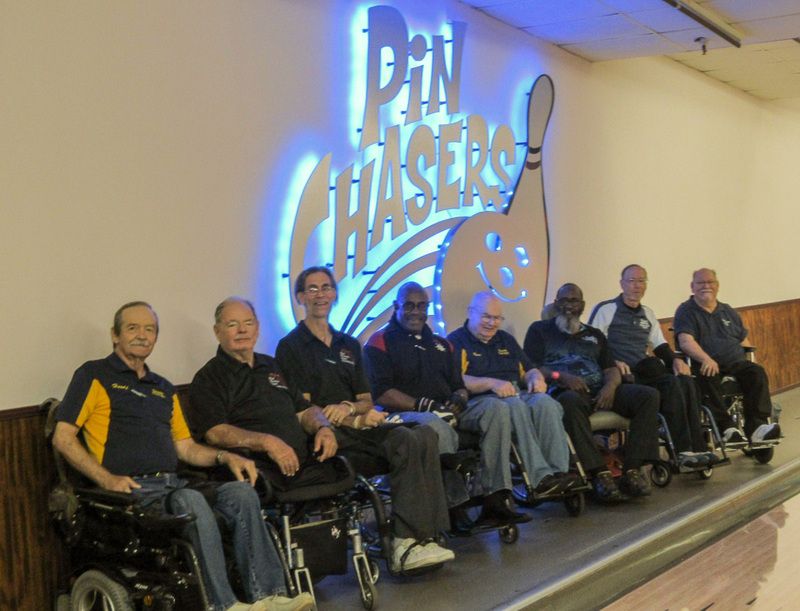 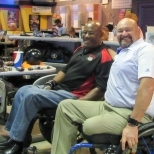 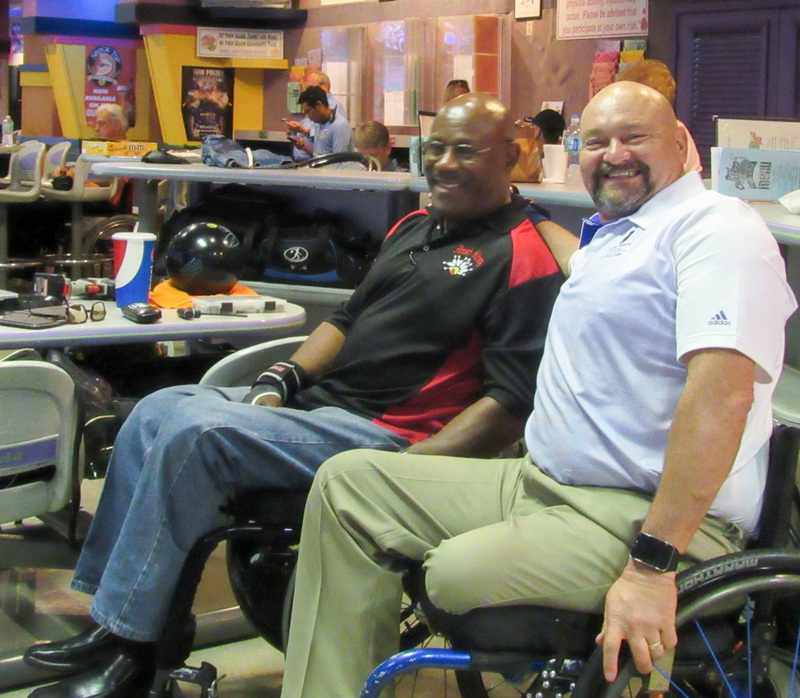 The AWBA returned to Tampa for the 54th annual National Championship tournament at the Veterans Pin Chasers Lanes with a field of 48 bowlers. 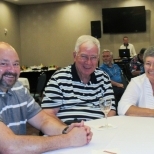 Greg Pietz and his wonderful staff were gracious hosts throughout the entire week and it seems from the overall scoring, they provided most of us an excellent shot. 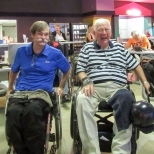 The bowling started as we watched 16 past national champions vie for the Tournament of Champions titles with Walt Roy (CA) capturing the scratch (551) and Stephen Smith (TX) winning the handicap (612) titles respectively. 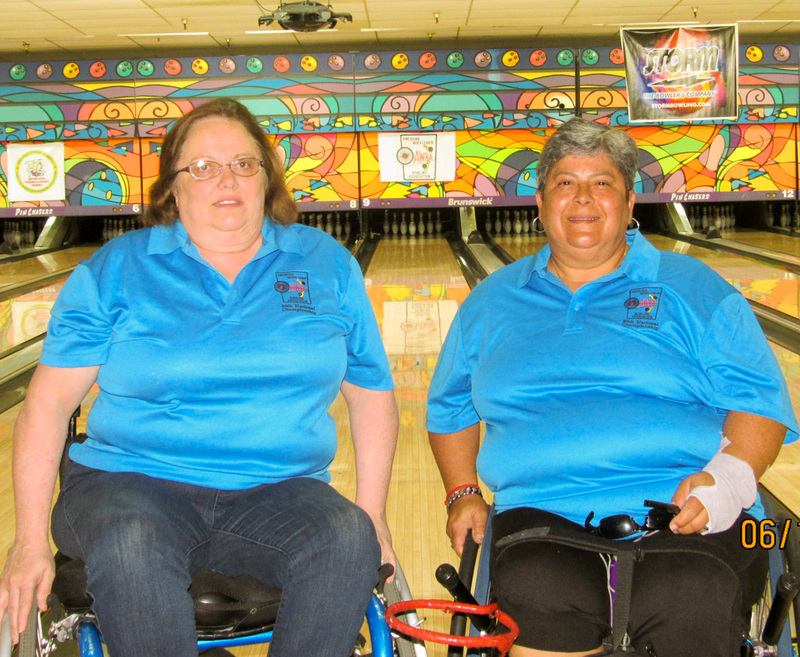 That evening Millie Irizarry (FL) led her team to victory in the 9 pin no-tap event. 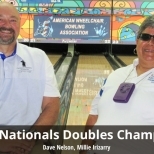 Day two (Wednesday), she continued to be a factor as her and partner, Dave Nelson Jr. (Ne) took the Welker Doubles crown defeating Gildardo Herrera (OK) and Dan Spotts (CO) by 4 pins. 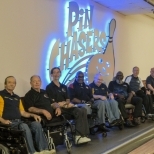 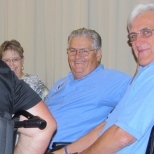 Prior to bowling the doubles we competed for the Pfister-Ramus Triples Team event which saw Florida bowlers, Rich Gabory, Larry Chauncey and Ron Johnson take that title amongst a 13 team field. 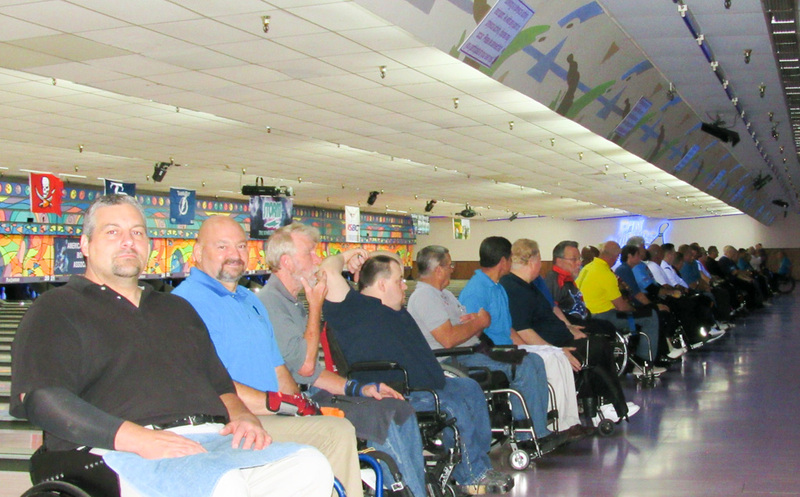 The singles began on Thursday with a huge series bowled by George Holscher (VA) of 715 giving him the edge on high qualifier honors. 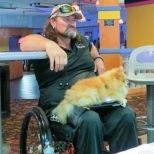 Still, Shawn Beam (TX) set an all time single game mark, starting with the first 10 to roll a big 289. 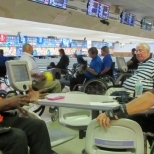 Many more high scores were bowled throughout qualifying. 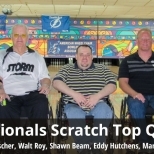 Top qualifiers by division were Holscher in scratch (4342), Ron Johnson in A (3216) and Gil Herrera in B (3204). 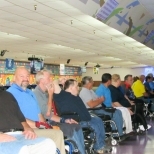 Great bowling guys!! 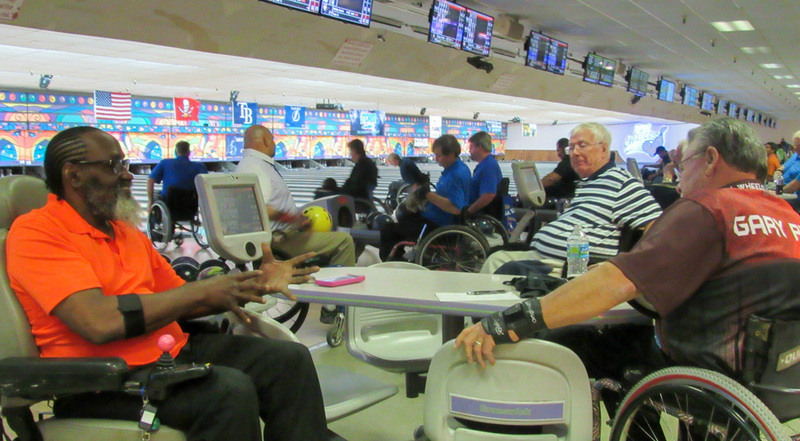 In the A matches, Paul Wolbert (FL) lost to Gary Ryan (TX) (205-183). 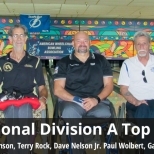 Ryan then eliminated Dave Nelson (179-175) before losing to Terry Rock (OH) (198-174). 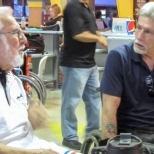 Terry was unable to hold of Ron Johnson who strung a 4 bagger at the end to just edge him out by just 3 pins (208-205). 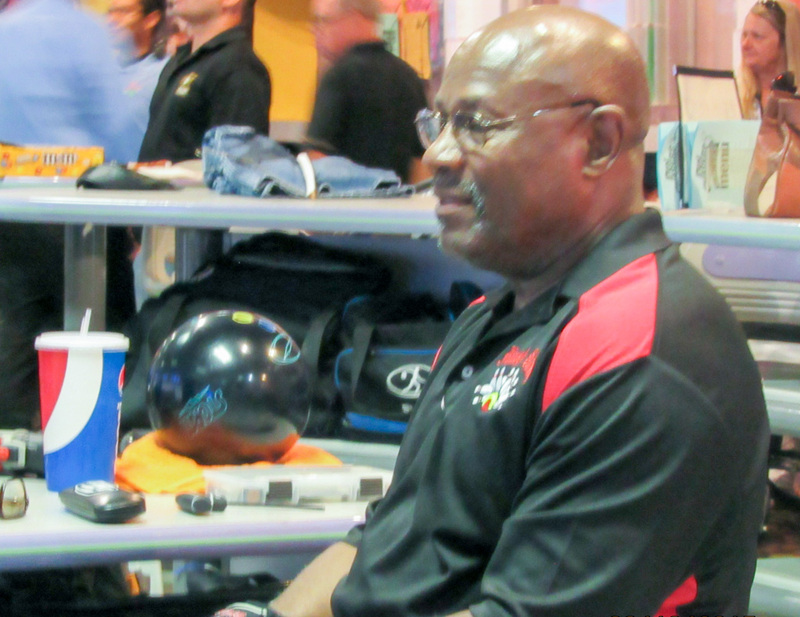 That makes 3 A division championships for Mr. Johnson. 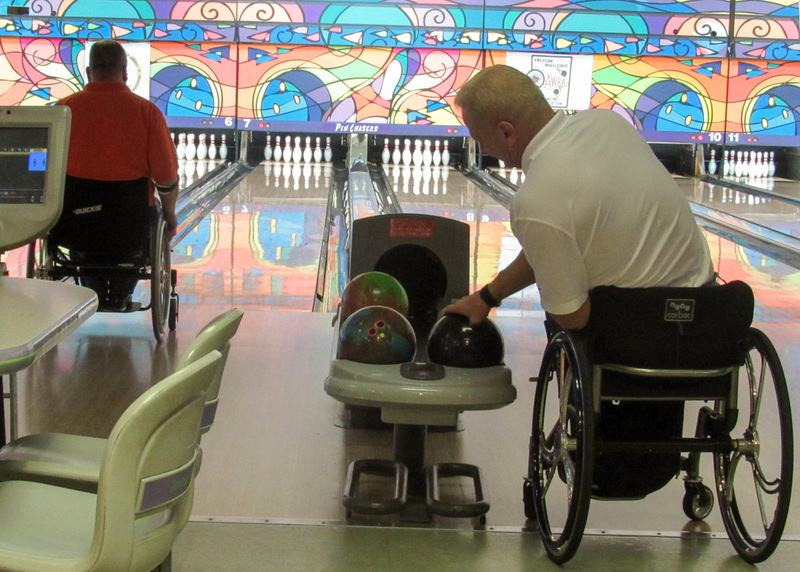 Kevin Schaefer (CA) bowed out to Allen Neu (WI) (196-187) in the initial match in the B group. 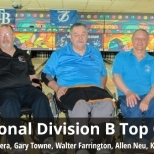 Neu was unable to advance as Wally Farrington (NH) rolled past him (201-186) and then eliminated Gary Towne (FL) (200-194). 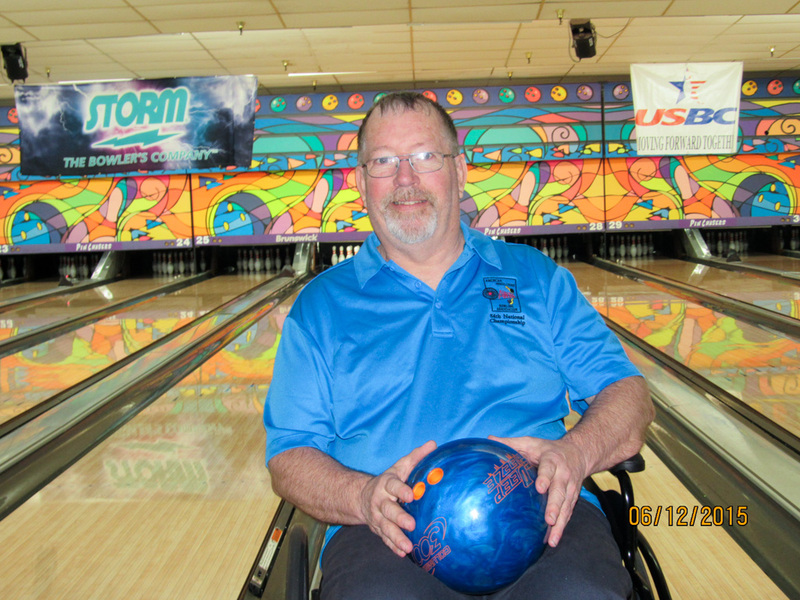 Gary can hold his head high as he was bowling in his first AWBA National. 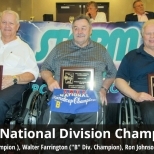 Farrington was not done as he defeated Herrera to capture his first B national title (214-164). 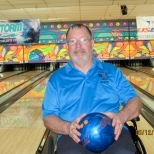 The scratch roll offs pitted fellow Colorado bowlers in the first match as Mark Shepherd passed Eddy Hutchens (181-161). 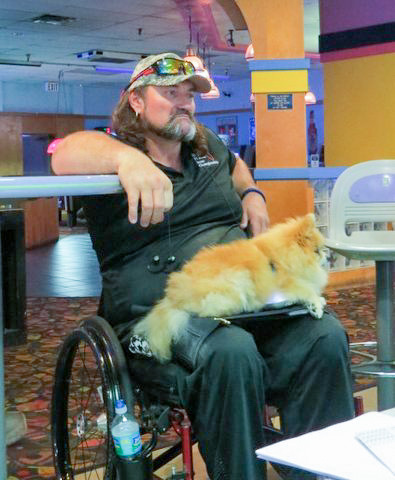 Shawn Beam proved too much in match 2 advancing (225-204). 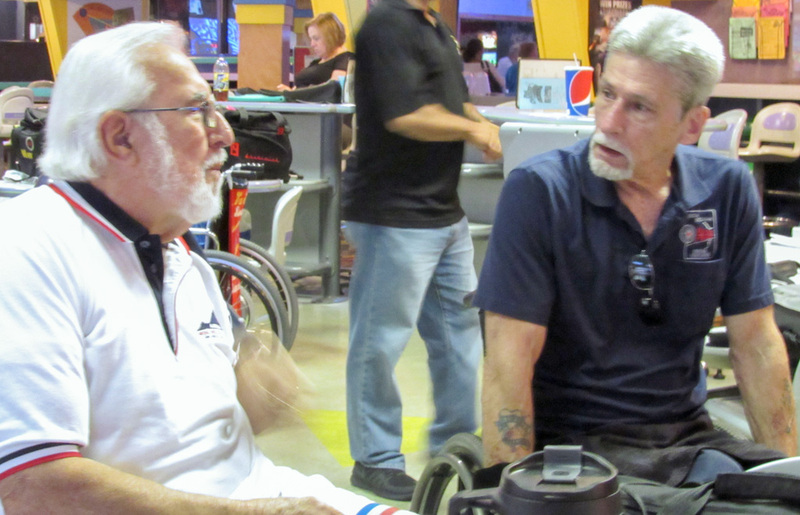 Walt Roy bowled past Beam (211-203) and successfully captured his 6th Scratch crown (181-152) as George had his worst game in the finale. 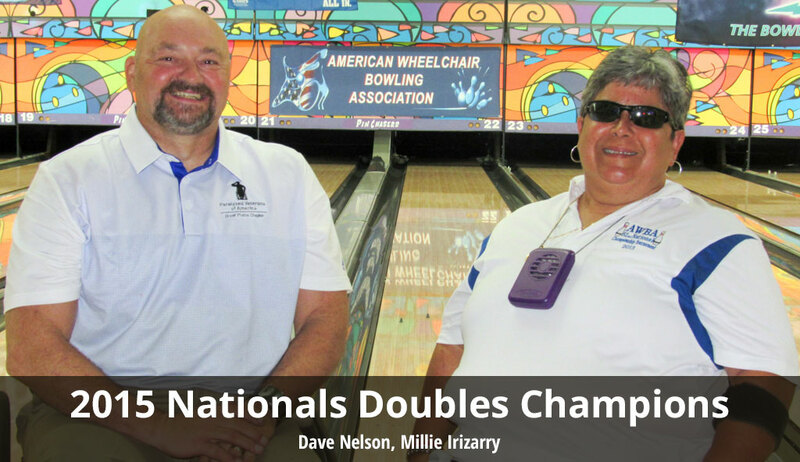 Congratulations to our 2015 champions. 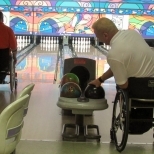 George Holscher could take some consolation in losing that scratch match as he did collect a lot of hardware, his third consecutive Carlson Scratch All Events crown, the Buddy Cole Most Improved Award by improving 297 pins over last year. 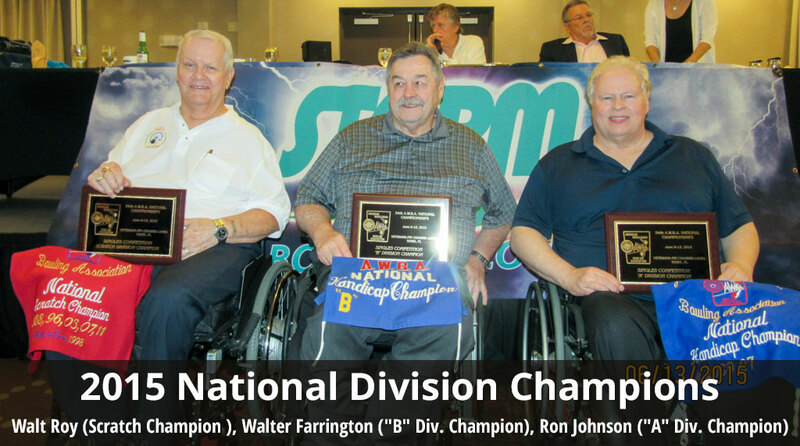 Ron Johnson also fared well taking the Carlson Handicap All Events title as well as the Senior Classic crown. 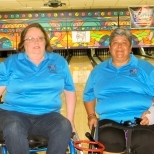 Janet Norwood captured another Alma Ladwig Memorial Championship as the highest woman qualifier. 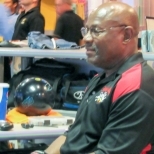 Finally we honored Phillip Daniel for his years of commitment and dedication to the organization and its members as he got the Bill Hart Sportsmanship award. 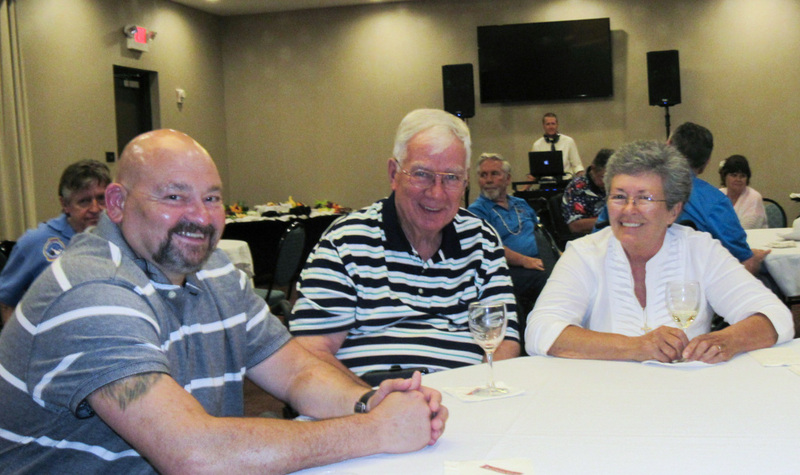 Last, and most certainly not least, Loretta Spotts was presented with an Outstanding Service Award by her compatriots already so acknowledged. 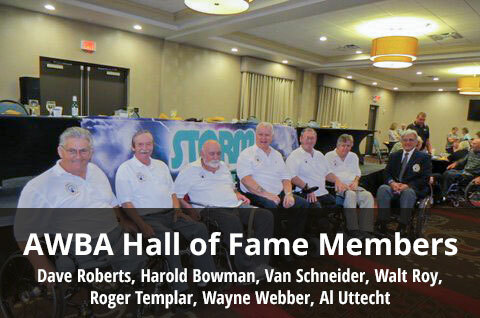 Thank you Loretta and congratulations as well. 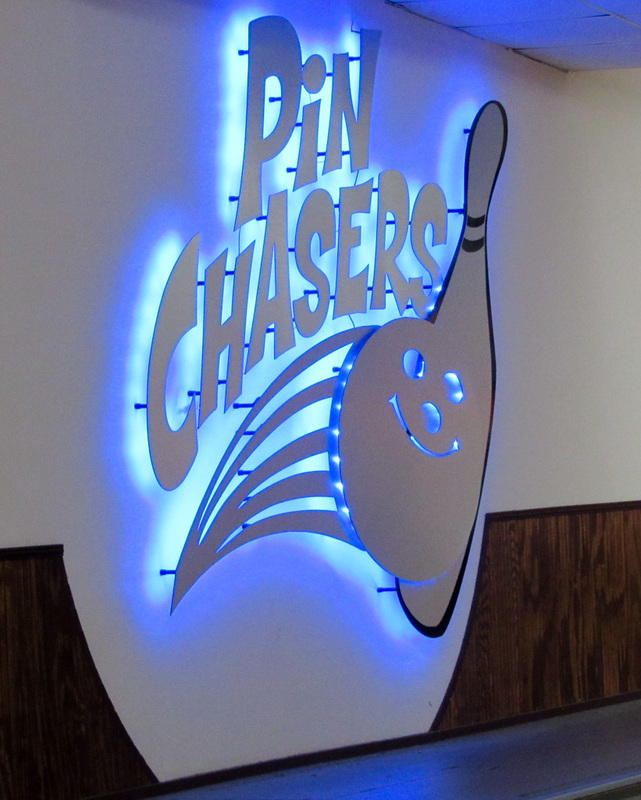 To all who chipped in in whatever manner please know that it was greatly appreciated, that includes our sponsors, our scorers, the people at the lanes, at the host hotel and especially my wife… always remember – it is people who make a tournament.